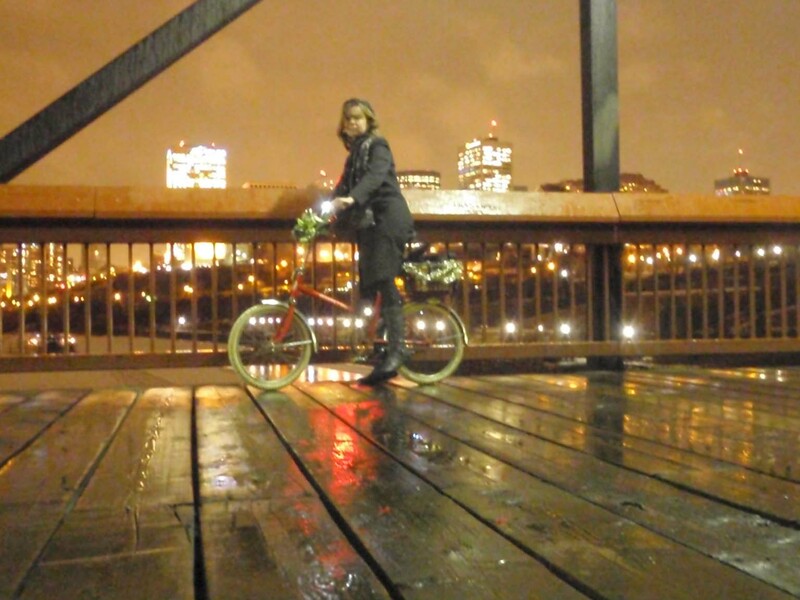 Combine the unseasonably warm weather with one of the longest nights of the year and you have a recipe for a dark ride through the river valley. The rain made the wooden bridge shine. 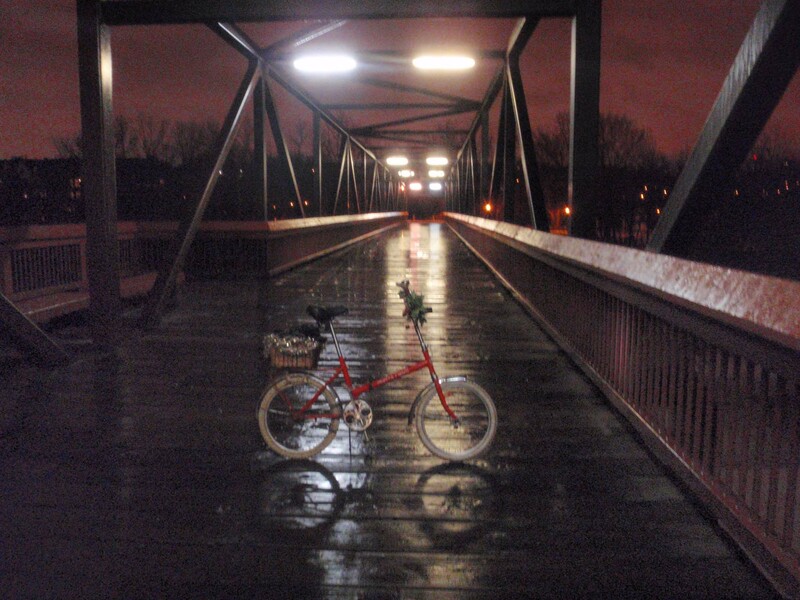 It started to rain just as I left (and December rain in E-Ville is always freezing rain), which soon turned to sleet, which greased up any exposed asphalt and made me second guess whether I should be joy riding in the valley (on a single speed foldie no less) on such a night. Things started getting dicey after this picture was taken. 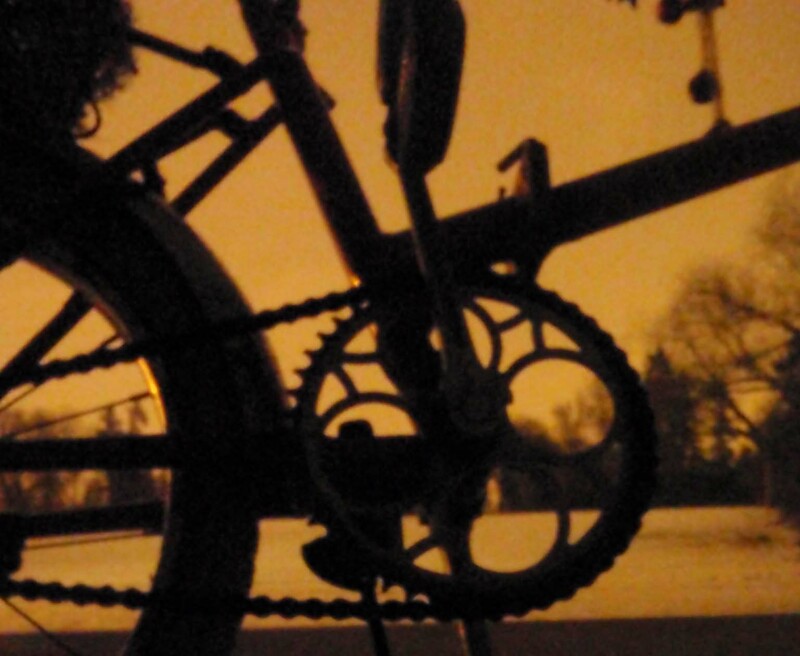 I’ve said it many times – freezing rain is my least favorite riding condition – specifically, when freezing rain forms a very thin but effective coating on hard surfaces that renders tire studs useless. 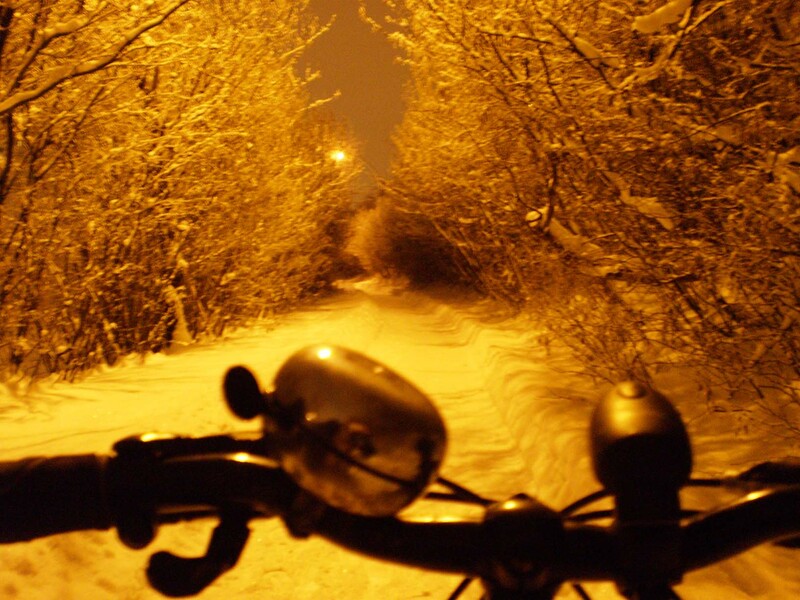 As I rolled over the black roads and paths, I could feel my back tire slipping back and forth, and hoped I wouldn’t have to try to stop, because I doubted if I could and still remain upright. Once I got into the shaded ravine where the trees protected the last snow we had from disappearing, the freezing precipitation formed a hard crust that my studded tires easily bit into, creating perfect traction. If I had been walking, it would’ve been a much different story. The sepia glow of darkness in a city lit with sodium streetlights. Through the night, the rain turned to snow, and I awakened on the shortest day to the sun reflecting off a blinding white landscape. And even though the worst of winter still lays ahead, I can at least look forward to every day being a little bit brighter.